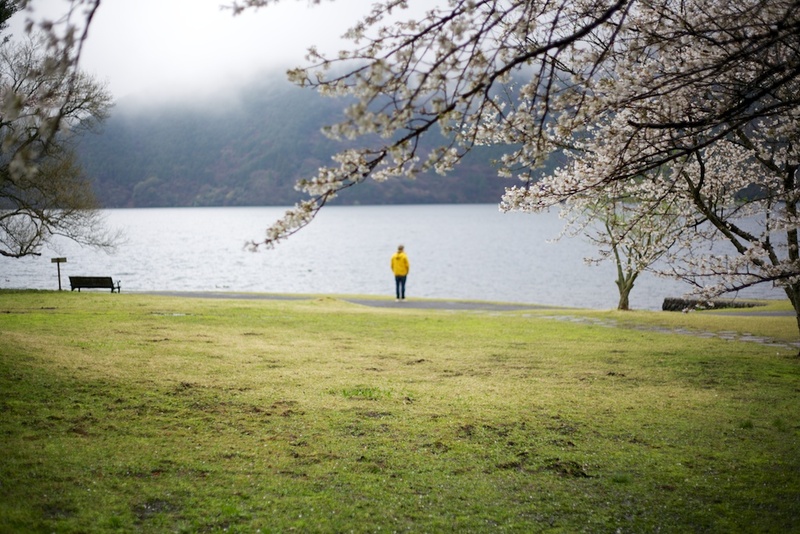 In April Gerry and I travelled to Japan to take photos for his next series of prints. 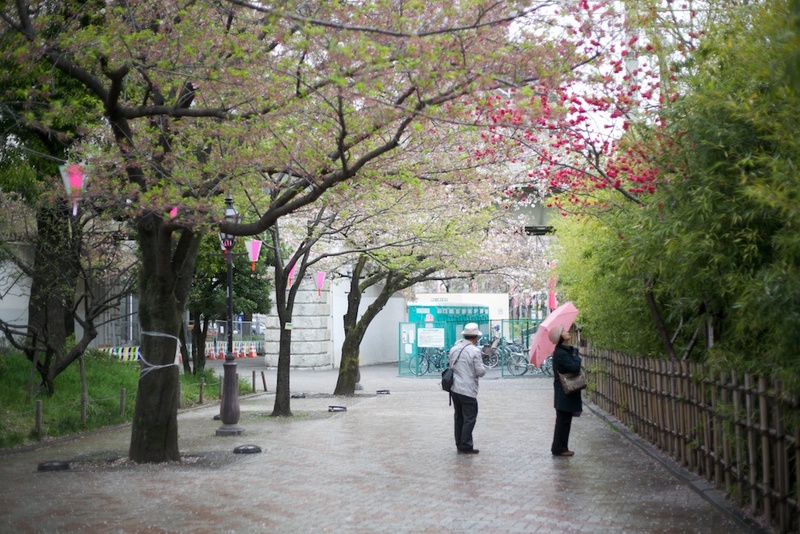 Our aim was to do one photo shoot per day, which took us all over Tokyo. 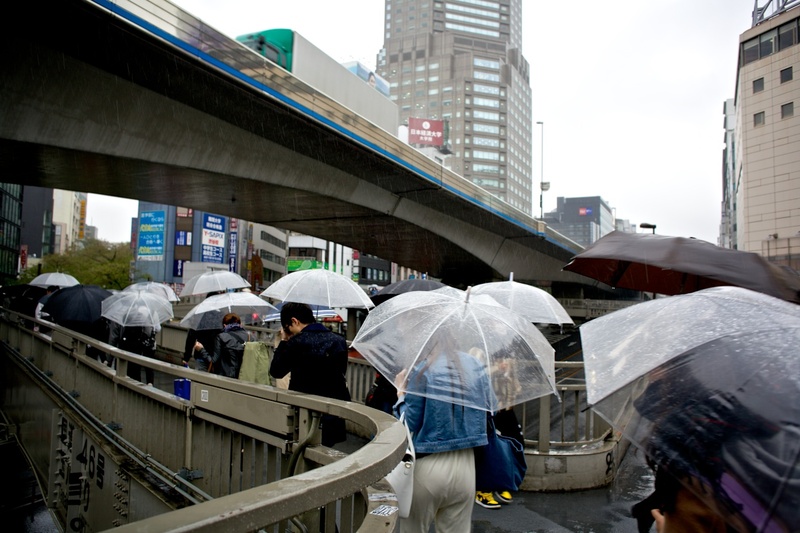 We spent a day following the expressway criss-crossing the eastern side of town and another day hunkered underneath an umbrella in Shibuya trying to capture people rushing past us in the rain. This was our sightseeing. And it was exactly the sort of sightseeing I enjoy – exploring and walking. 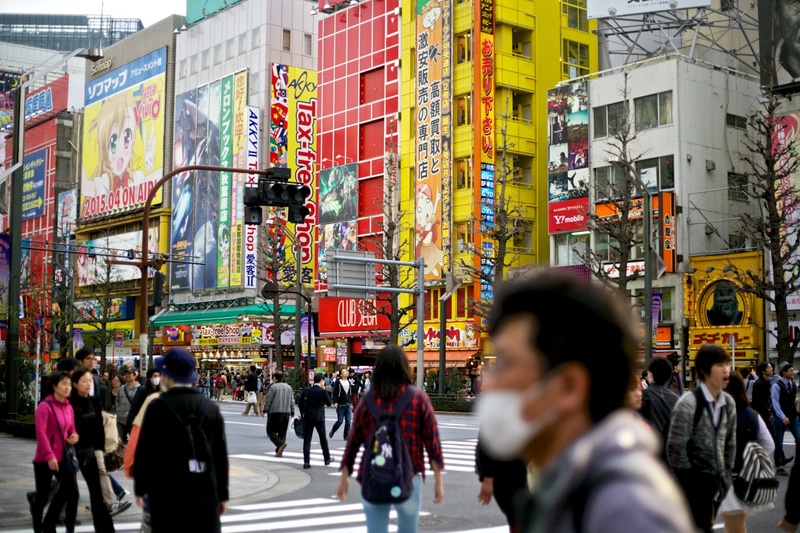 I didn’t shop, I didn’t see many of those places you’re supposed to see, but I tried to get to know the city, to meet local people and to understand what it’s like to live in Tokyo. During our two weeks in Japan we only managed to scratch the surface, if that. But here goes. 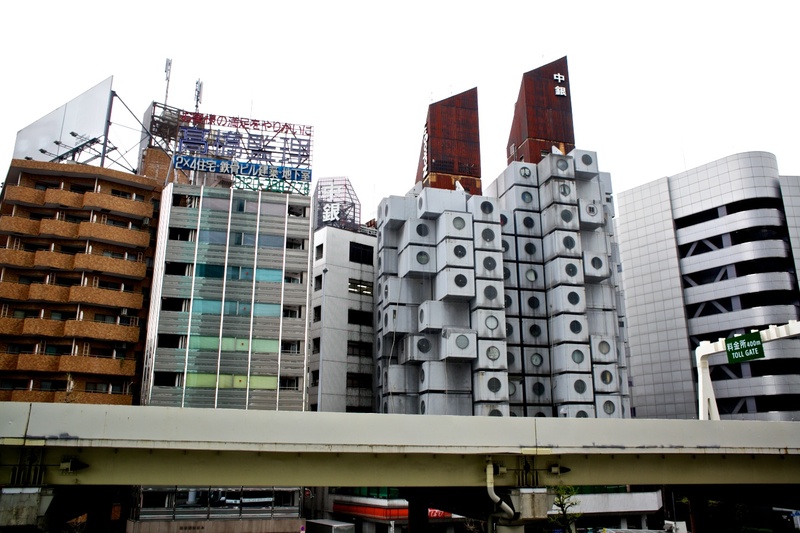 Here is my guide to Tokyo. 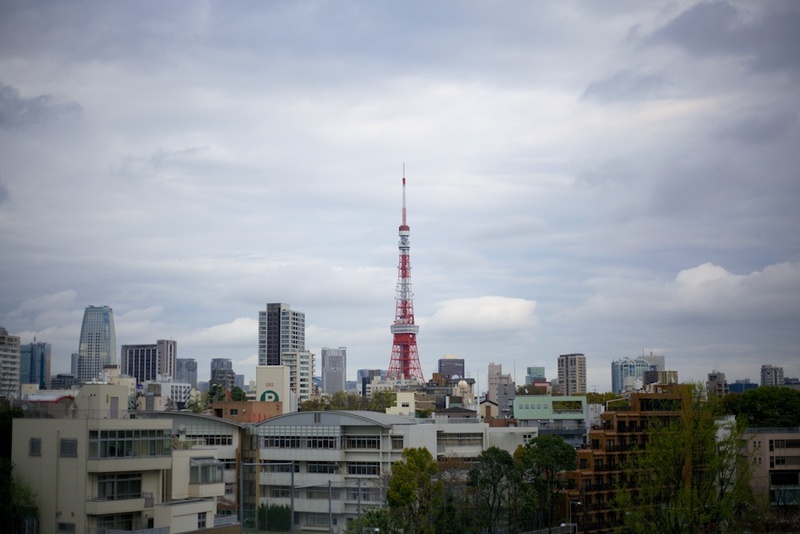 We stayed in a small apartment in Koenji, a district west of Shinjuku, during our first week in the Tokyo. 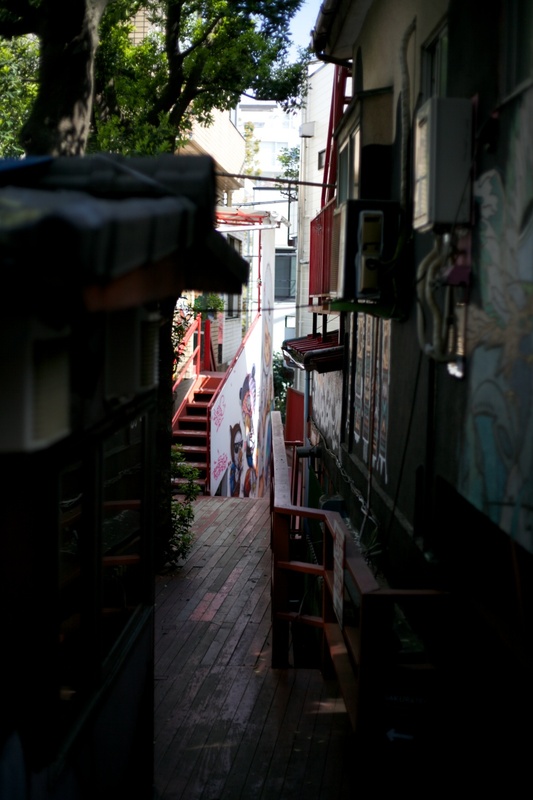 Koenji is a slightly punky part of town, with lots of rock venues, tiny bars and vintage clothing shops. South of the Koenji subway station there’s a shopping mall, which eventually turns into a street lined with cute second hand shops. To the north is a slightly different high street, with cozy bars and nice restaurants. That’s where we also stumbled across a busy little supermarket with great take away boxes of sashimi and sushi. Trying to navigate through the isles of supermarkets abroad is one of my favourite things. We often ended up with a random basket of stuff and sampled a lot of noodles, rice cakes and green tea flavoured cookies. 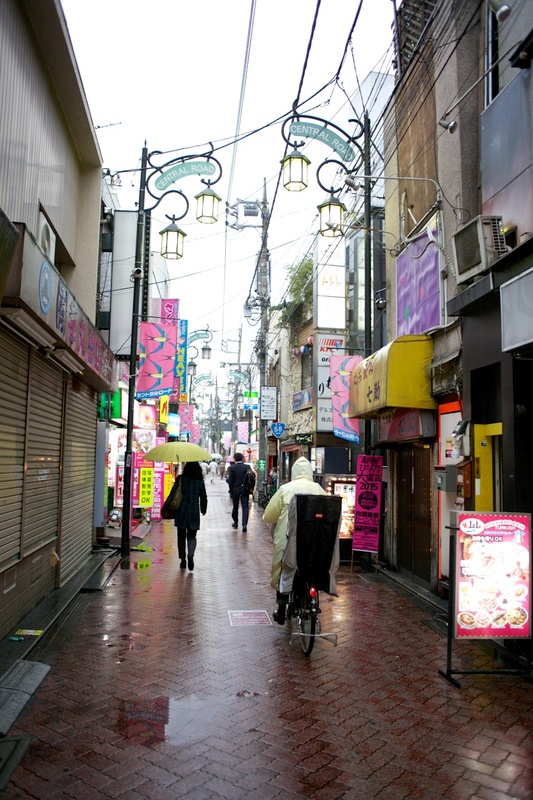 Shimokitazawa is a bit like the Hackney or Brooklyn of Tokyo. 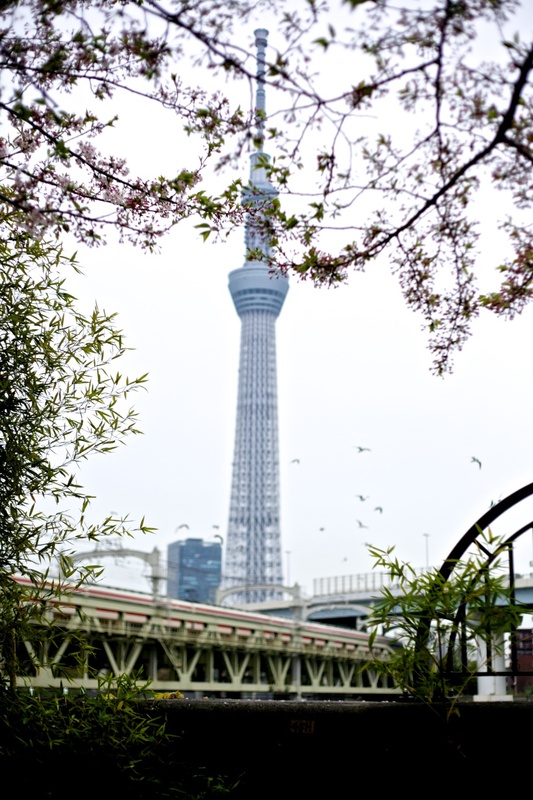 We stayed in the area during our last two days in Tokyo. It felt a lot more affluent than Koenji and the neighbourhood definitely had an alternative vibe, but compared to other places in the city it seemed a bit expensive. A lot of the restaurants and bars served up food that reminded us of home, burgers, salads and third wave coffee. The area is great for independent shopping and you can easily spend a day or two there exploring the shops and restaurants. 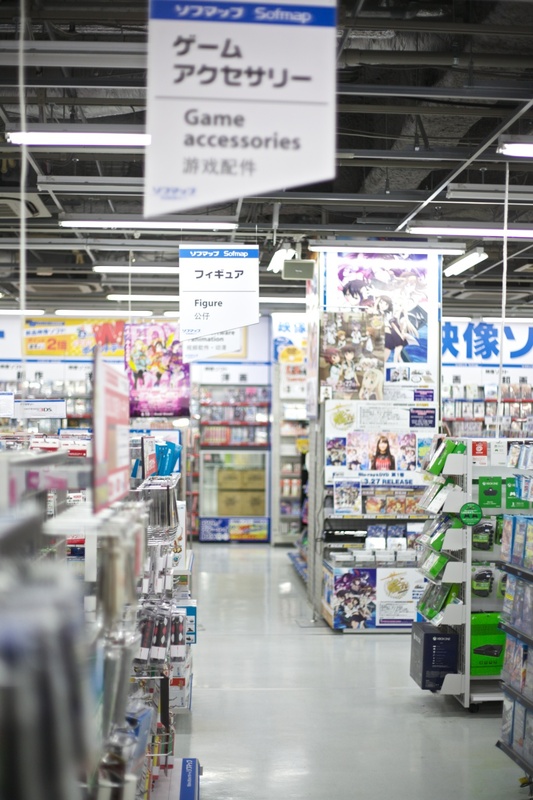 Just remember it might be a bit harder on your wallet than other areas in Tokyo. We only spent a bit of time in the more central parts of town. You’ll find out most of the things you need to know about these areas in any good tourist guide. They’re the sort of places where you’ll find upmarket boutiques, big fashion brands and restaurants catering to tourists. After doing our photo shoot we rushed through Shibuya in the rain and had a quick look at the famous Shibuya 109 shopping centre with its many colourful concessions of womenswear. It was interesting, but a bit manic so we escaped the crowds and ended up in a pool hall around the corner where we played pool for a couple of hours and watched the local kids and amazing Japanese grannies at the tables next to us. The back streets around Cat street felt like mix of Greenwich village and Camden, a mix of independent clothing shops and cheaper touristy places. The high point was an interesting art gallery called Design Festa, a building with lots of small cubicles where local artists can rent a space. In the courtyard there was a cafe where you could grill your own okonomiyaki on a hot plate, which we didn’t get a chance to do, but it did look very tasty. We also visited the Ukiyo-e Ota museum and spent an hour walking around, looking at their collection of amazing woodblock prints. 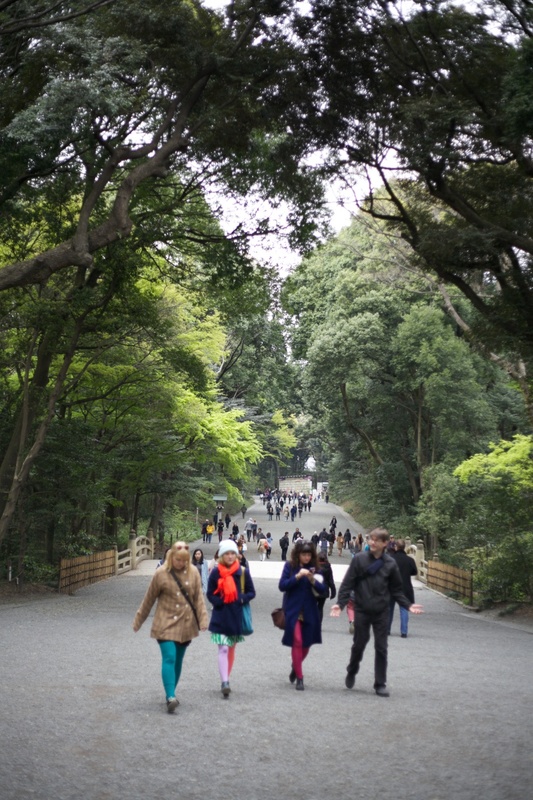 Yoyogi park in Harajuku was nice too. One of my favourite days was spent browsing through the second hand book shops in Jimbocho. Many of them had floors full of old knick-knacks, old wrapping paper and wood block prints. It felt like going through the contents of a dusty old attic. It felt quite strange walking through shops filled with these books I couldn’t read. If you love second hand book shops this is the place to go. This area gave me a bit of a cold sweat. 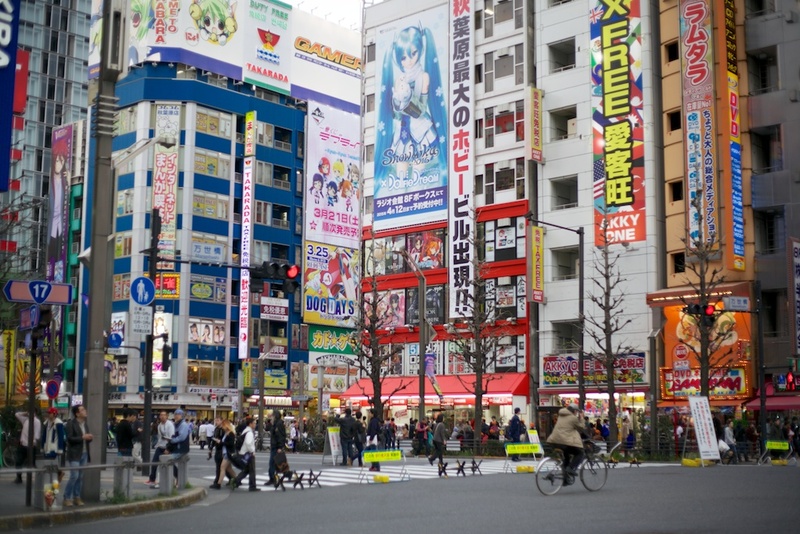 The center of Akihabara is a big street lined with blinking signs, shouting out advertising, huge manga characters peering down from buildings and shops with floors and floors of cheap electronics. This place is geek heaven and if you know your electronics you can definitely find a bargain there. All I managed to get was a mild attack of the panics on the top floor in one of the shops, when the random advertising tunes, the strange figurines of naked pre-pubescent girls and the weird yellow light got a bit too much and I had to get out. I braved the basement floor of a couple of shops as well and stumbled across a slightly weird side of Japanese society. I’m still struggling to understand how adult comics featuring very young looking girls can be sold so casually and openly. On a more positive note there is another good art gallery in Akihabara, in an old school tucked away on a small side street. 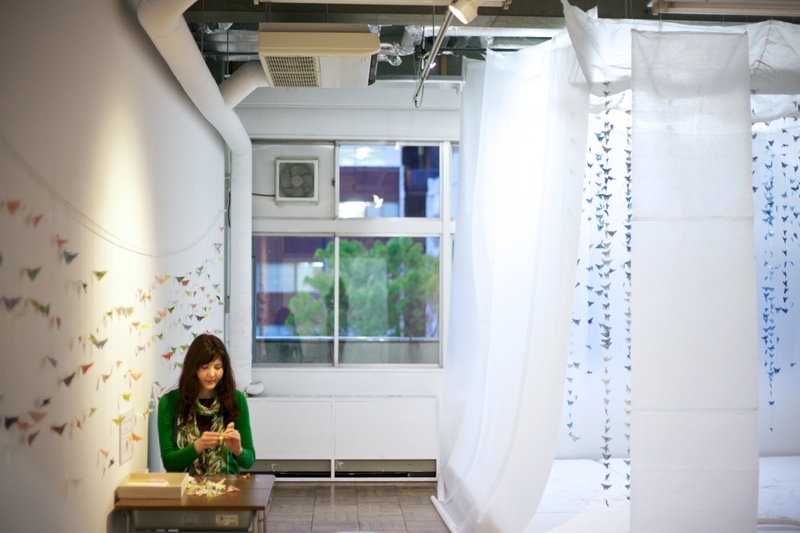 Like at Design Festa in Harajuku, artists can rent a room in 3331 Arts Chiyoda. We walked around for a bit, slightly confused by the fact that the place still smelled exactly like a high school and that high schools therefore must smell the same the world over. 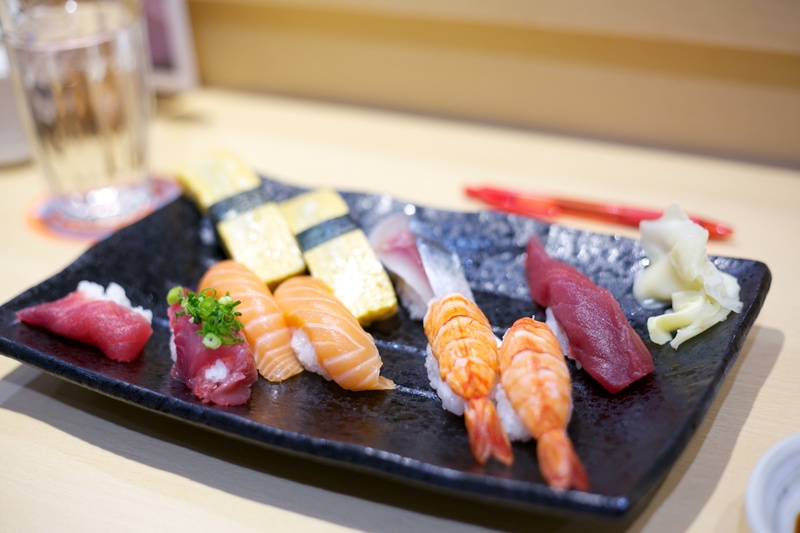 Even though both of us like good food Tokyo sometimes felt too big and confusing to make informed choices, often our hunger took over and we stumbled into the first decent looking restaurant. This meant we ate a lot of Japanese fast food, ramen and rice, which was mostly tasty and filling. 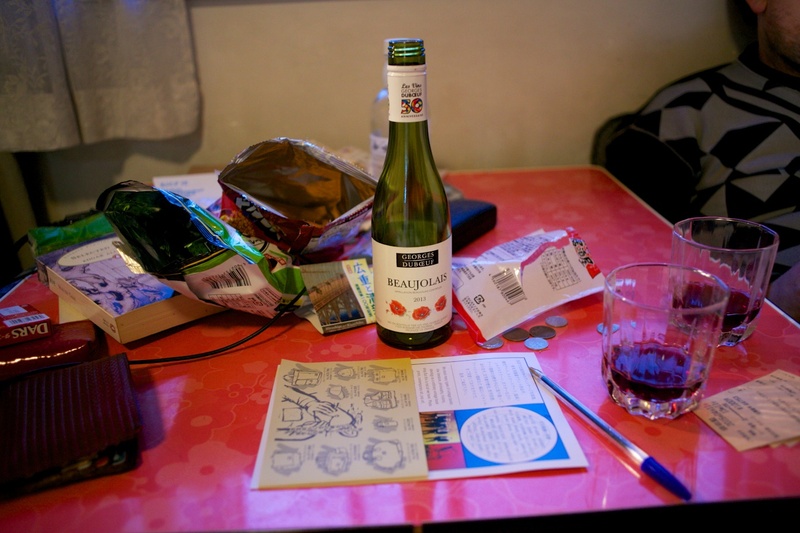 We also bought plenty of stuff in the supermarkets and ate dinner in the apartment we’d rented. A cheap alternative to eating out, but often just as tasty. 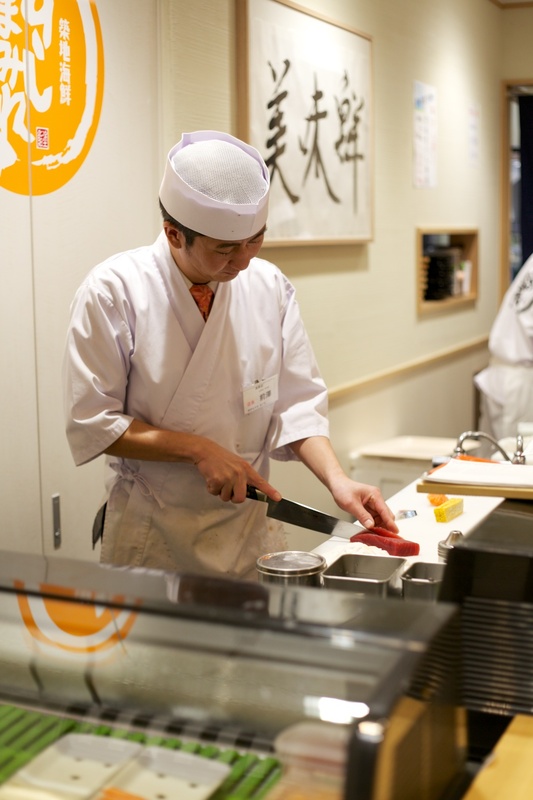 We also went to a restaurant in Shinjuku where you could grill your own food and had a lot of good sushi. Often we just chose the places randomly, but only had few disappointing meals. Tensuke in Koenji was recommended to us by some of the locals. 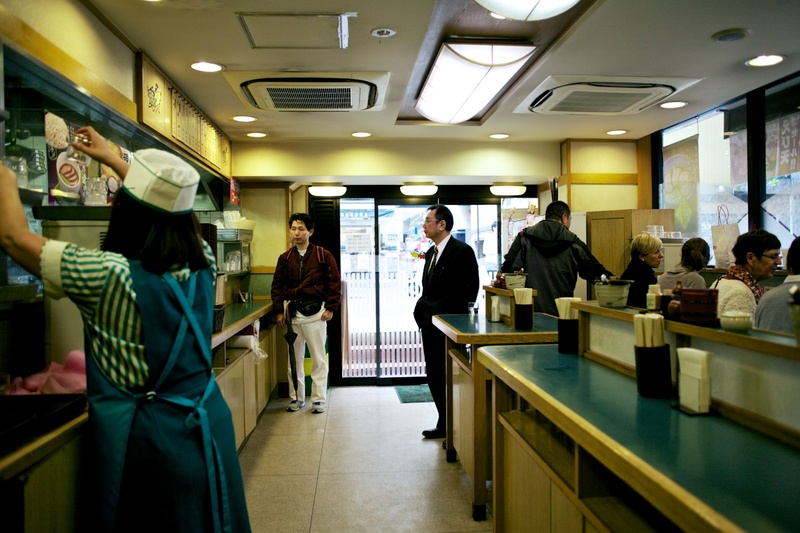 There’s normally a queue outside this tiny tempura restaurant and only a handfull of seats next to the counter inside. Because the food was so good we queued twice to eat there. 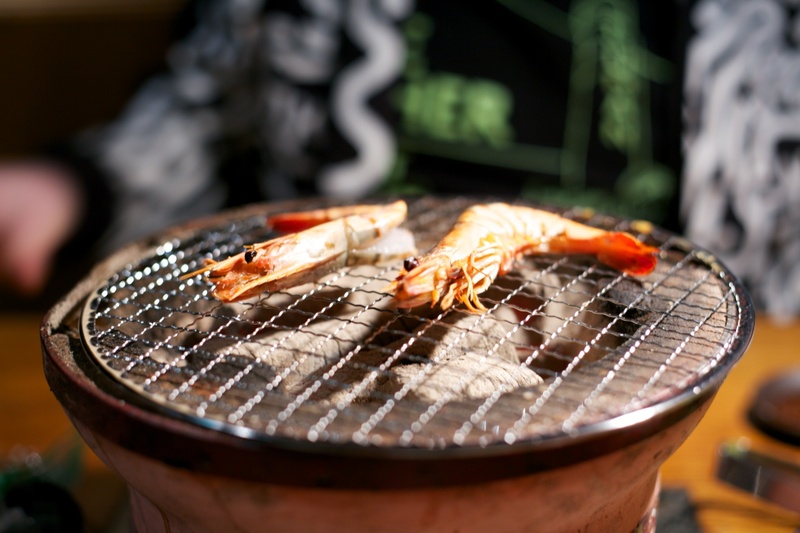 The head chef speaks a bit of English and flamboyantly tosses eggs, shrimp and vegetables into a vat of hot oil. The tempura was salty and crispy and amazing. But the best thing about the whole experience was the bowl of rice with a fried egg on top. I will dream about that rice for months. I can also recommend a cafe in Koenji called “Precious coffee moments”, not just because of the name, but because they do a sesame milk coffee with ice cream. Weird, but amazing. Opposite Tensuke there is a small jazz bar, just big enough for seven people to cram around the bar disk. Jazz singer Hanako was working the shift one night when we strolled around Koenji, nervously looking for a place to stop and have a drink. These bars almost seem like living rooms and taking that step over the threshold felt a bit like intruding. Luckily Hanako is one of those people who seems to make friends wherever she goes. She waved at us and we ended up joining the group of people at the bar. If you can’t find this particular jazz bar, I would recommend looking for your own, a small place where you can drink several glasses of wine and get to know a few people. Everyone seemed happy to practise their English with us and wanted to talk about their trips to Liverpool. Since Gerry’s Scottish, they also wanted to know what he thinks about the independence debate. In many restaurants you can pay a set amount and then drink as much as you want for two hours. 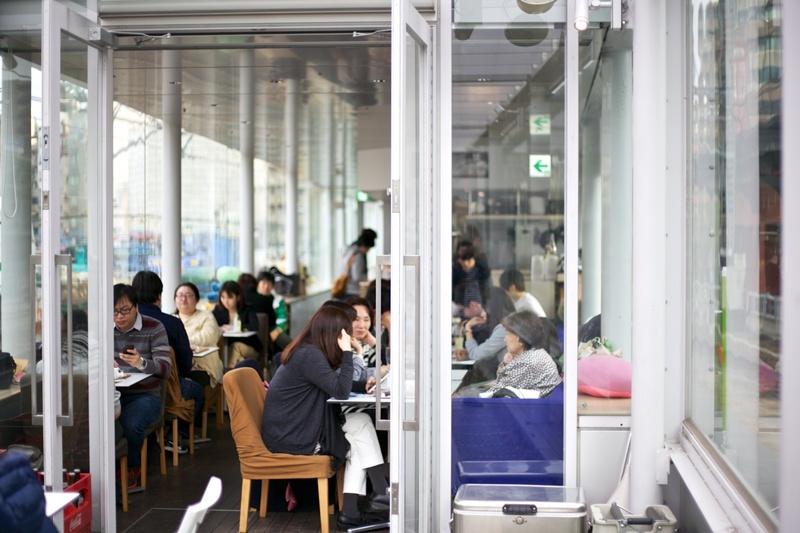 Normally it was around 2000 yen (£10) for one person, the measures were quite small, but the offer is often worth it if you want to have a couple of drinks. The metro/subway in Tokyo can seem overwhelming at first, especially since the lines are run by different operators. 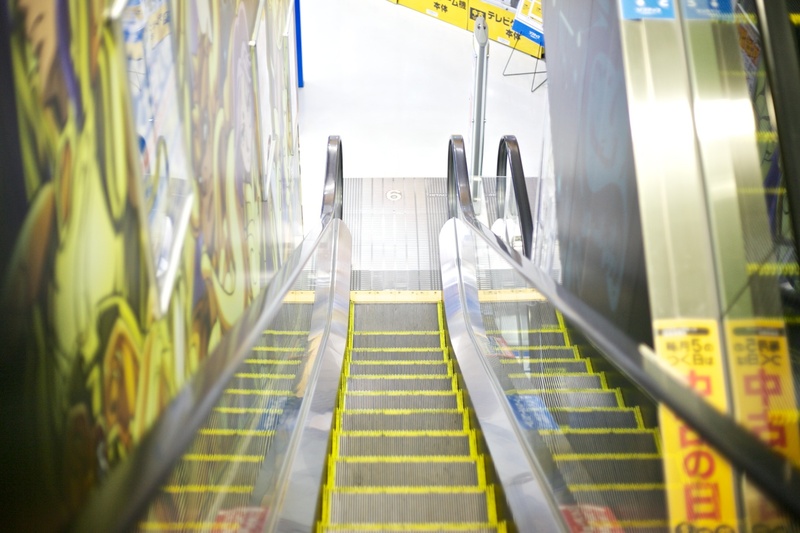 The easiest way to get around is to buy a Suica pass, which works like an Oyster card, at any of the major stations. Just top up the card when you need to. It also helps to have a downloaded metro map on your phone or tablet, as the maps in the stations can sometimes be a bit confusing. Luckily for us non-Japanese speakers all stations have signs in English. 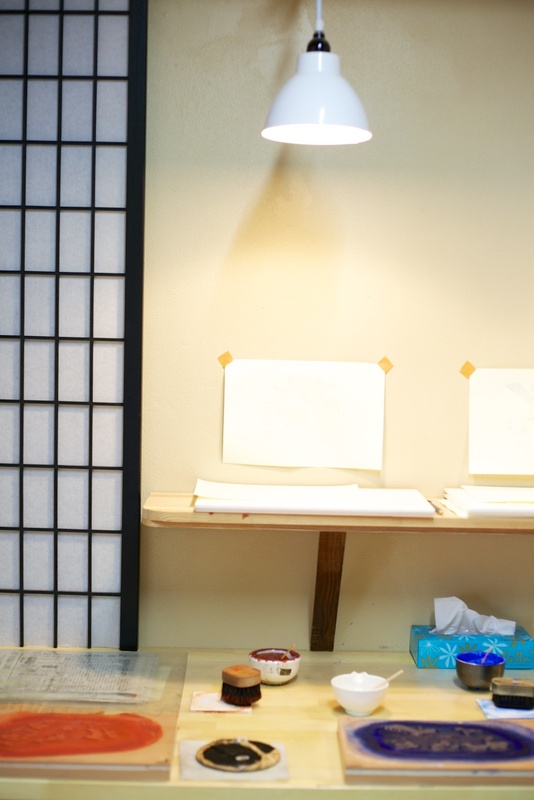 If you’re interested in wood block printing check out David Bull’s studio in Asakusa. We did a quick wood block printing course with David, who took us through the process and techniques. He was very generous with his time and spent a few minutes after the course talking about printing techniques and his life in Japan. Tokyo was cheaper than we had expected. We paid less for food and alcohol than we would have done in London and we often ended up spending less than our daily budget. Even when we thought we’d splurged on dinner, the bill landed somewhere around £30 or £40 for a dinner for two, with drinks. Although one thing to keep in mind is that the more tourist-friendly an area is, the more expensive it will be. Transport and accommodation were probably the most costly things about the trip, as was getting to Japan in the first place. I also thought the price of clothing and electronics was about the same as in the UK, so it’s not a great place to go for a bargain, unless you know what you’re looking for and exactly where to go. I could never remember when to take my shoes off and when to wear slippers. It’s confusing, but I think the key is never to wear anything else on your feet than socks if you’re stepping onto a tatami mat, if you do the locals tell you off. Always hand people things with both hands. It’s a really nice thing to do actually. Never tip. No one expects you to do it. A lot of restaurants have bell on the table, press the button or ring the bell whenever you want to catch the waiter’s attention. They might not come up to the table and “disturb” you otherwise, so it’s up to you to tell them whenever you want something. 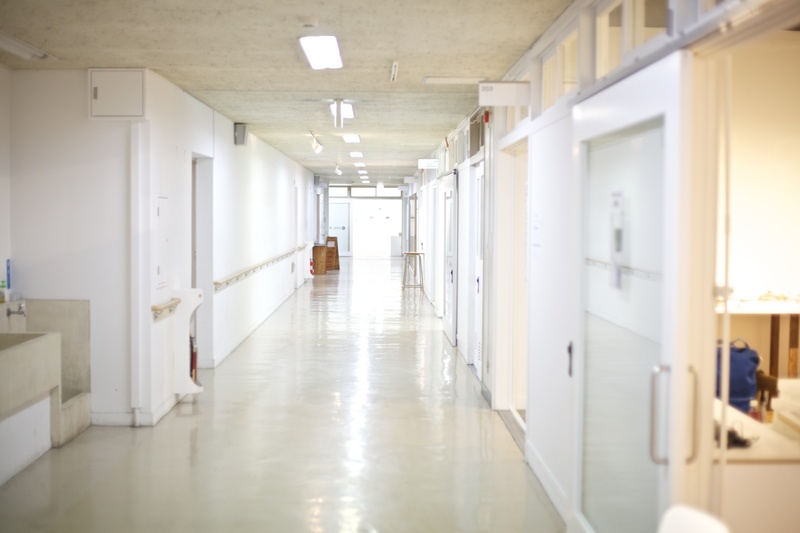 I’m back in the studio, back from Tokyo and Japan and fourteen days of intense travelling. I’m reading papers online, drinking coffee and trying to ward off the tiredness and jetlag still hiding somewhere in the background. Over the coming weeks I’ll be doing a lot of reporting on the UK general election, some from London, some from elsewhere. When I close my eyes I see a moving landscape, as if I’m looking out of a train window. I can’t believe we’re back from Japan. That we’ve actually done the trip, it’s over, the memories will turn solid, opinions and anecdotes will start taking shape. I had hoped that I’d be able to keep a journal when we were away, but I couldn’t, there was too much input and too many new experiences to make sense of it all when we were there. 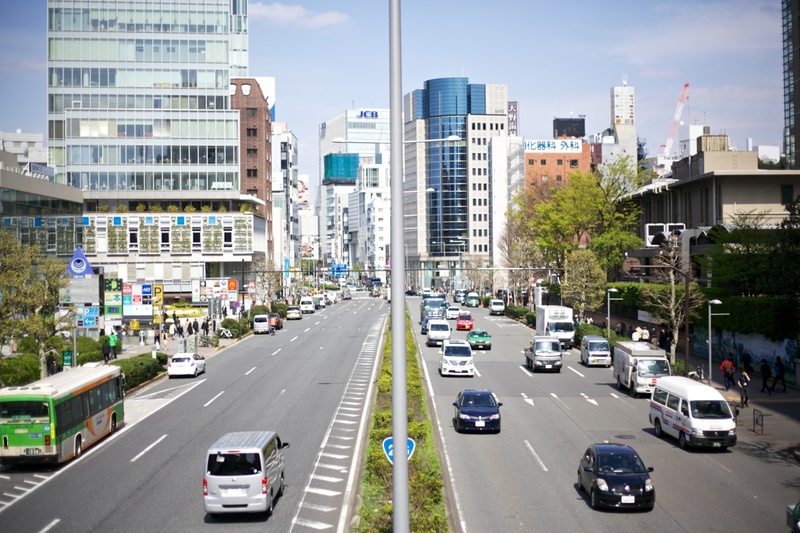 Tokyo was a place of blinking lights, massive expressways and loudspeakers shouting at you from every corner. It was techno, man-made, unnatural and jam-packed full of people. 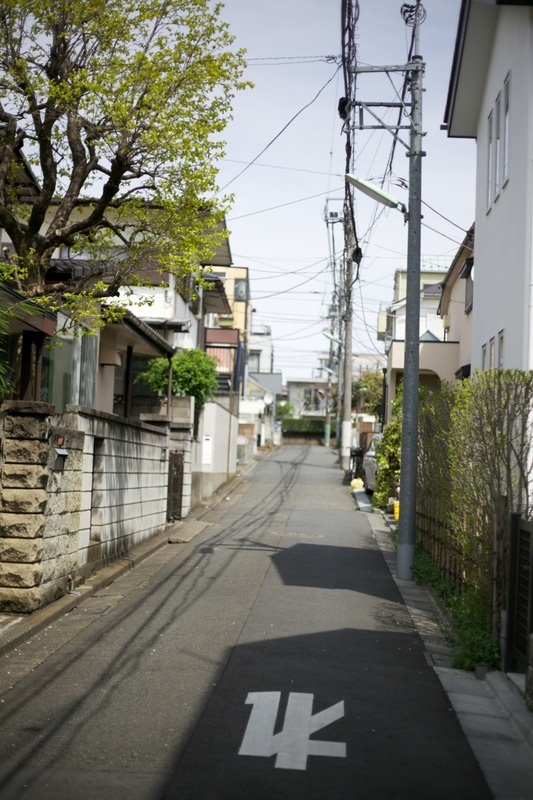 It was also a city of quiet neighbourhoods with power lines in a tangle above your head, everyone talking in whispers and children cycling quietly down the narrow streets. Sometimes it felt deceptively like London, there were the same brands, a familiar mass-transport system, people moving and living the way city people do. But underneath the surface there was something else. I felt like I was hitting a glass wall, I could observe, but I was never able to immerse myself in the culture. I don’t speak the language, but I also sometimes struggled to read situations and people. I came away with a head full of questions. On the plane back I read Shutting out the Sun, a book by journalist Michel Zielenziger. 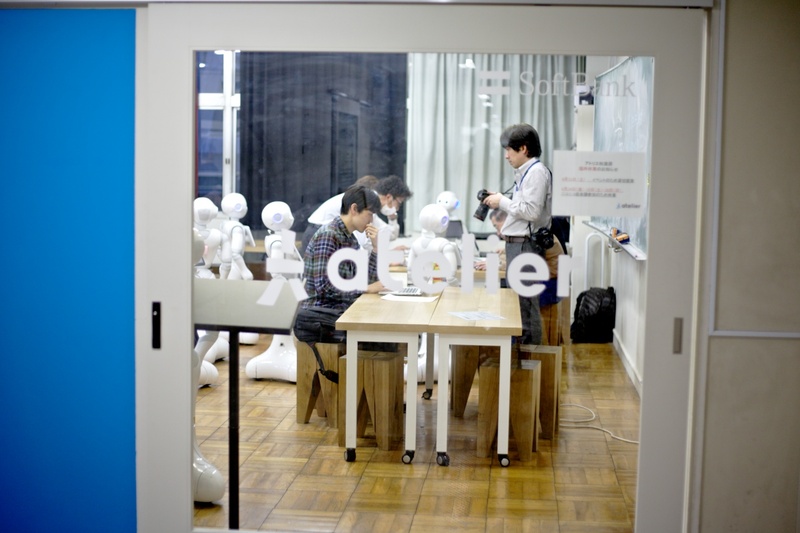 It looks at the hikikomori phenomenon – young men and women shutting themselves in their bedrooms for years, isolating themselves from the world. It’s an interesting book, but it’s very critical of Japanese society. It will take me some time to make sense of the trip and to sort through the hundreds of photographs we took. I’ll write a bit more soon, but first I need to catch up on some sleep.